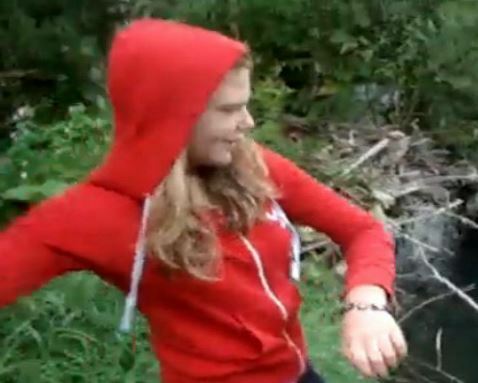 Girl Throwing Puppies in River on Video-Truth! - Truth or Fiction? This is a video that has gone viral on social media that shows a girl throwing a bucket full puppies into a river. The video is real and was taken in Bosnia, according to an October 6, 2010, article by the New York Daily News. The article said that the girl in the video was never identified nor prosecuted because she was allegedly too young to appear before a judge. It was also reported that the puppies survived the river and were rescued by woman who discovered them on a shore down stream. The video dates back to 2010, but went viral on social media in early July 2014.